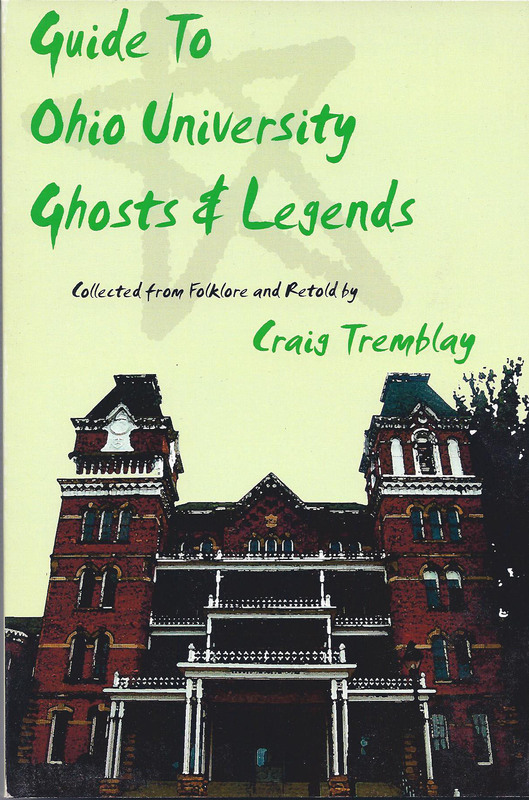 This collection of ghost stories and legends focuses on strange events that have occurred around Ohio University and Athens, Ohio. It is an interesting combination of folklore and real history. Briefly covers stories of Mt. Nebo, the Koons Spirit Cabin, the cemeteries arranged in a Pentagram, the Convocation Center, the cursed Bromley Hall, Washington Hall, Jefferson Hall, Bryan Hall, where a young girl was assaulted by an evil spirit, Bush Hall, Voigt Hall, Shivley Hall, where a student went into trance and sleepwalked to Hanning Cemetery, Cutler Hall, Old Baker Center, Templeton-Blackburn Alumni Memorial Auditorium, Brown House.. Covered in more depth are tales of the notorious Wilson Hall, known for its tales of suicide and madness. the fraternity and sorority house ghosts: Delta Tau Delta, Pi Beta Phi, Sigma Phi Epsilon, and the Athens Lunatic Asylum, also known as The Ridges, where a patient was accidentally locked in. Her body decomposed on the floor, leaving behind a stain that cannot be removed to this day. There are also stories of area ghosts and legends like the Moonville Tunnel, Strouds Run State Park, and Simms Cemetery.